Since 2001 the Davitts have played a pivotal role in getting women’s crime writing published and better recognised. Back in 2001 only 7 books were in contention, although the awards did not then apply to non-fiction. In 2015, by contrast, 96 books were in the running. 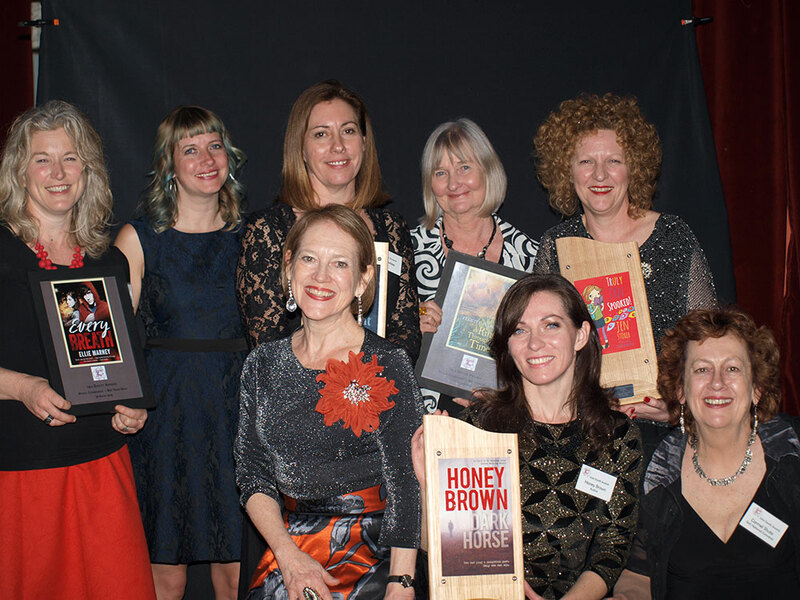 Six Davitt Awards are presented annually: Best Adult Crime Novel; Best Young Adult Crime Novel; Best Children’s Crime Novel; Best Non-fiction Book; Best Debut Book (any category); and Readers’ Choice (as voted by the 600 members of Sisters in Crime Australia). The publishers’ deadline for entering books in the 2017 Davitts was 28 April. Voting by Sisters in Crime members on the 2017 Davitt (Readers’ Choice) will close on Friday day, 28 July 2017. Members will be notified electronically to vote via Eventbrite or, in a few instances, by snailmail. The awards are handsome carved polished wooded trophies featuring the front cover of the winning novel under perspex. No prize money is attached. The judging panel for 2017 comprises Sisters in Crime national co-convenor, Michaela Lobb; former convenors Jacqui Horwood, Maggie Baron and Sylvia Loader; forensic specialist Debbie Stephen; and Readings Bookshop bookseller and writer, Deborah Crabtree.